They refused to give me a cleaning without an x-ray. Unbelievable. Medical professionals should not that radiation cancause an er. I am a cancer survivor and want to avoid x-rays. They refused to give me a cleaning without an x-ray. Unbelievable. Medical professionals should not that radiation can cause an er. I am a cancer survivor and want to avoid x-rays. Dr. Stan Cho has provided optimal dental care for his patients for over 18 years. Practicing comprehensive dentistry, Dr. Cho takes pride in developing treatment plans that are uniquely designed to benefit each patient and improve overall oral heath. Moreover, he is dedicated to rejuvenating failing teeth with an expertise in root canal therapy and dental implants. Dr. Cho and has been placing dental implants for over a decade and holds a Fellow of Implantology from the International Congress of Oral Implantology. 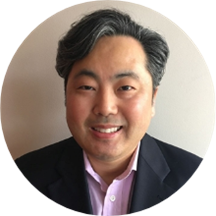 Dr. Cho grew up in Seattle and attended the University of Washington for undergraduate studies and also graduated from the University of Washington Dental School. He enjoys all that Seattle and the surrounding area has to offer, from playing tennis and golf with his family and friends to attending Seahawks and Husky football games.